The atmosphere in the Garden during the 2010 Eastern Conference Semifinals was electric. Kevin Garnett registered a big time triple double, and the Boston Celtics capped off a series-clinching Game 6 victory over the Cleveland Cavaliers. LeBron James walked toward the locker room as the cameras panned his way just in time to catch him removing his number 23 jersey. Many wondered if that would be the last time we would ever see LeBron don the Cavs’ wine and gold. The rest is history. LeBron took his talents to South Beach and won two rings for the Miami Heat. Then, he returned to Cleveland and brought the organization their first championship in franchise history. Along the way, James got revenge and defeated the Boston Celtics four times in seven years, dismantling the team relentlessly. He did all he can to ensure he would never relive that bitter taste in his mouth as he walked off the parquet floor in 2010. 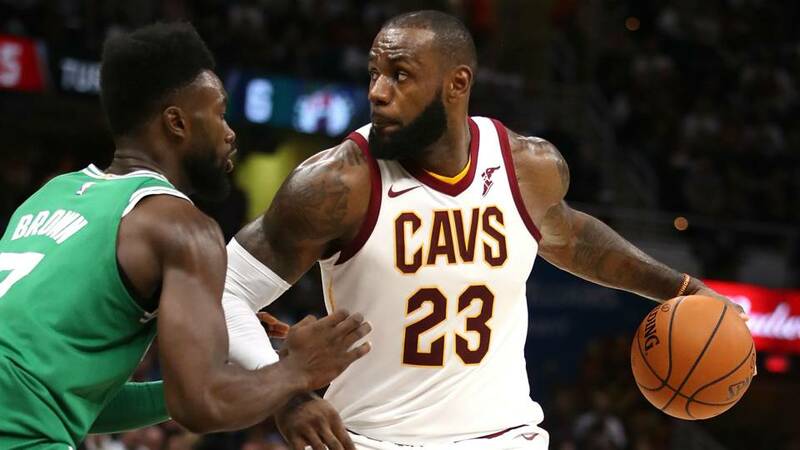 We have yet another Eastern Conference Finals showdown against King James and his Cleveland Cavaliers, a rematch of last year’s match-up and the seventh installment in the LeBron era. James has made a career of killing the Celtics, averaging 29.6 PPG, 6.4 RPG, 6.8 APG, 2.2 SPG, and 1.2 BPG in last year’s matchup. He has tallied more points against the Celtics than any other individual player in NBA history. Things have changed drastically since last year’s Eastern Conference Finals. With a total of nine returning players from both teams, there isn’t much to analyze from that series. 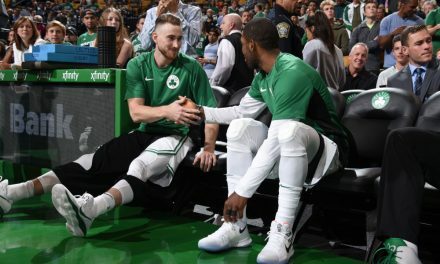 The new look Boston Celtics dismantling and disposing of the Philadelphia 76ers in five games has the team riding high. The Cavs struggled in their first round series against the Indiana Pacers, seeking out a Game 7 victory only to turn around and make mincemeat of the Toronto Raptors in a four game sweep. No, we won’t get to see the much sought after Kyrie vs LeBron match-up that seemed all but destined since game one of the season. There will not be an Isaiah Thomas revenge series against his former Celtics either. Nonetheless, this match-up definitely has a lot of tasty content headed our way. The Celtics boast a roster led by the savvy veteran Al Horford, who has been an absolutely dominant force this postseason. He outplayed Giannis Antetokounmpo in the Bucks series and Joel Embiid in the 76ers match-up. With a line of 17 PPG, 8,7 RPG, 3.3 APG, while shooting 58% from the floor, he has taken his game to a whole new level. Al has rallied this young and hungry team around him. 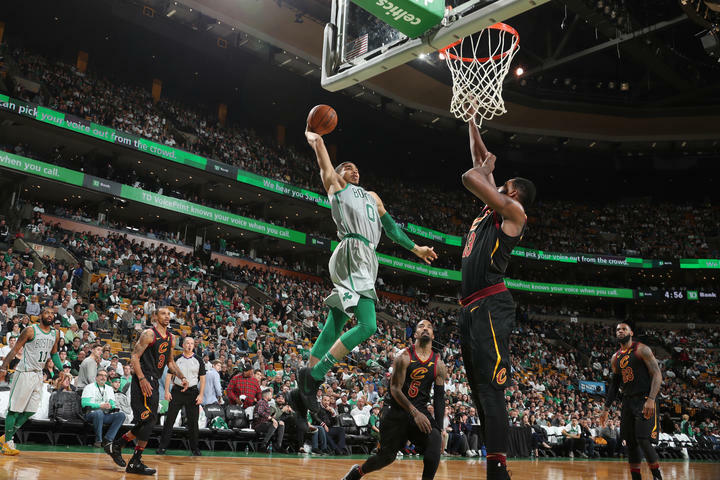 Jayson Tatum has looked like a fifth year vet, making big shot after big shot without hesitation or even the smallest hint of fear. No moment has been too big for Jaylen Brown, who is averaging 16.9 PPG while sinking 41.5% of his threes. Scary Terry Rozier is playing like a mad man. He has exploded onto the spotlight and is making a big name for himself across the nation with his play. As for the Cavaliers, it has been a roller coaster ride of a season. After the big offseason trade that saw Kyrie Irving go, many feared that Isaiah Thomas would not fit well in the system the Cavs had in place. These fears soon became reality as the team struggled mightily out of the gate, going 31-22 before Isaiah was shipped to the Lakers for Jordan Clarkson and Larry Nance Jr. This seemed to be the saving grace for the Cavs, as they have gone 27-13 since the flurry of trades on the deadline that changed the complexion of the team. Oh, and they have the greatest basketball player on the face of the earth on their side. Since entering the playoffs the core of the team surrounding LeBron has slipped up a bit. LeBron has responded with playoff averages of 34.4 PPG, 9.4 RPG, and 9 APG. He has absolutely carried the team through the first two rounds. Make LeBron a score first, pass second player. James is a do it all guy that can destroy a team from all areas of the court. But his teammates are a lackluster group that have major consistency issues. LeBron is no stranger to a poor supporting cast, but it remains Cleveland’s biggest flaw and the area the Celtics need to focus most of their attention. The team needs to do everything they can to limit everyone around LeBron. Do not send help, as he will just pass out of it and find a wide open Korver for a three or a cutting Love for a slam. If the Celtics can make LeBron feel the need to score everything, they may be able to pull the rest of his team out of rhythm. When the fourth quarter comes around and LeBron tires of relentlessly attacking the teeth of the Celtics’ number one ranked defense, he may miss some big shots. And with his teammates taken out of the game the Celtics should have some opportunities to come away with a victory. If they can hold everyone surrounding LeBron to 60-65 points per game in the series, they may have a fighting chance. I can’t say it enough- the man is the best coach in the NBA. He has out-coached his opposition in the first two rounds, making brilliant both in game and between game adjustments that placed the team in the best possible position to win. In Game 3 against the 76ers, he called up two plays that resulted in layups at the end of the game. He will need to be at his best in the toughest and most important match-up of his young career. Don’t be shocked if we see some lineup adjustments frequently throughout this series. Stevens inserted Semi Ojeleye into the starting lineup in the last three games of the Milwaukee series to guard Giannis. Expect a bigger role in this series for Semi, as he will be asked to guard LeBron during stretches. 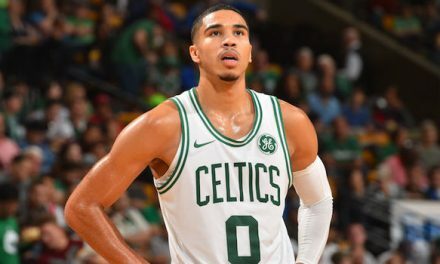 Brad will continue to get Brown and Tatum the best looks possible, and make Horford a focal point of the offense. With the exception of Al Horford, this Celtics team has built a successful postseason run on the backs of three young talents. 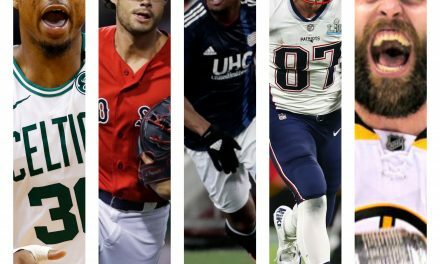 Jaylen Brown, Jayson Tatum, and Terry Rozier have been instrumental in the success of the team. Tatum has been out of his mind, averaging 18.8 PPG, 4.5 RPG, and 3.2 APG, while consistently shining his brightest in the biggest moments of each game. Jaylen Brown has shown tremendous progress from last season’s playoff run, highlighted by his 10-13 shooting night in Game 5 of the 76ers series, going off for 24 points in the victory. Boston still faces a mammoth of a task in playing against Lebron James. If the core can continue to prosper as the series goes on, it would prove invaluable to the ultimate success of the team . Boston boasts a much deeper and more talented bench than the Cavs, and will look to use it to their advantage throughout this series. Marcus Morris, Semi Ojeleye, and Aaron Baynes are expected to step up for the team and play some valuable minutes. The Celtics will need a lot more out of Marcus Morris than what they got throughout the 76ers series. If this team has any chance at pulling the upset off, they need him to play like he did in March. Morris needs to continue taking over games and keeping the team afloat by making shots when the rest of the team can’t buy a bucket. Marcus Smart will need to continue being a bulldog and provide the team with a shot of adrenaline when the offense disappears and Cleveland starts making runs. Hopefully the team will have Shane Larkin back soon to give a spark of energy off the bench. 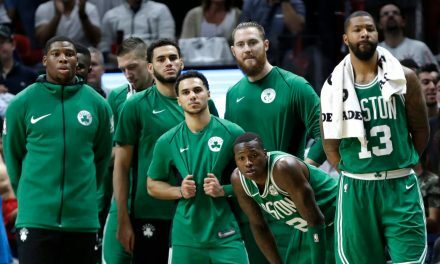 If the role players can build off of the success in the past two match-ups, and find ways to limit Cleveland’s bench, the Celtics will be in a good spot to win this series. I’m picking the Celtics in a tough fought seven game series. The Celtics boast arguably five of the seven best players in this series, and hold advantages in every position in the starting lineup with the one exception of LeBron James. Cleveland’s roster is so poor this season that Marcus Smart, with a playoff scoring average of just 10.8 PPG, would be the third highest scorer on the Cavs. Boston’s core will be able to at least sustain the success they have had during the first two rounds, and it should be just enough to sneak away with a Game 7 victory in the TD Garden behind the greatest fans in the world. The Celtics will finally get their long-awaited payback on LeBron and make it back to the NBA finals for the first time since 2010. Regardless of what the outcome may be- what a heck of a season for these Celtics. To go through the adversity they have and considering in the position they are in, it is a truly remarkable and noteworthy accomplishment. The future is bright in Boston.